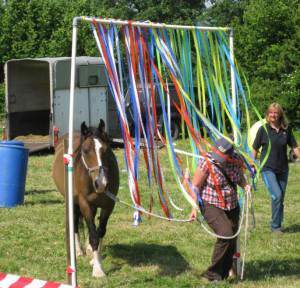 Wow there are so many benefits to Horse Agility, where to begin as it is so varied. Anyone can compete from the novice to the most advanced horse owner. You can compete on an International level and do this from your back yard which saves you time by not traveling and money! All you have to have for your horse is a halter a lead and a few simple obstacles which I will go over soon in another blog post. How will Horse Agility benefit the handler? Meet like minded people and have fun! Helps handlers improve their communication skills and relationship from the ground which transfers to being in the saddle. How will Horse Agility benefit the horse? Learn to wait on you for their cue. Great for horses that can’t be ridden because of age or physical problems as it develops manners. It also helps those that are for sale to be more marketable improving their chances for a great home. What some of my students have said after taking my online Horse Agility courses. Horse Agility is only for those who are afraid to ride! Some people think that Horse Agility is only for those who are afraid to ride! This may be true for some people but there are those who do ride and choose to do this because of the benefits it produces for both the handler and the horse. There is no shame in those who have a fear of riding as Horse Agility gives them a fun place to go and for some it gives them their life back with horses. Also some of those individuals have gained enough confidence to start riding again! It does not matter if you ride or not Horse Agility creates a rock solid partnership that will last a lifetime! 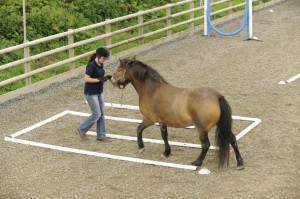 Want to develop confidence in your horse? Get signed up for my online clicker training course today!